Earth's wetlands are vital to the water cycle and havens for wildlife, but they are under threat. GlobWetland, an ESA-led initiative in collaboration with the Ramsar Convention Secretariat, has been addressing this issue by using satellite imagery to provide detailed wide-area views of individual wetlands to aid national and local conservation efforts. Based on user requirements, GlobWetland products include base maps, land use-land cover (LULC) maps and change detection maps â€“ with historical Earth Observation (EO) satellite images being compared with current acquisitions to see what changes have occurred during the last ten years or more. Integrating the EO-derived products and services into the userâ€™s traditional working procedures requires training to secure capacity building and to achieve a well-defined amount of competence. This is especially important in Africa where the lack of updated geo-information and the inefficient in-situ monitoring networks hinder the conservation efforts of wetland managers and water authorities. 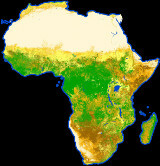 In support of all African countries participating in the project, GlobWetland â€“ which is funded by ESAâ€™s Data User Element (DUE) â€“ hosted a five-day training seminar, developed jointly by Wetlands International and Vexcel, last week from 24-28 April in Lake Naivasha, Kenya, for users to understand and integrate the EO-derived products and services into their work. Participants from Algeria, Egypt, Lake Chad, Senegal, South Africa and Kenya attended the training which featured lectures, â€˜hands-onâ€™ work with sample products and field work methods carried out in an area adjacent to the training facility. Remote Sensing Officer for the Lake Chad Basin Commission Garba Sambo Hassan, said: "The training has been really stimulating. I used to perform these tasks manually, which is tedious and cumbersome. I am now anxious to get back to the office and use these products to update my past work. It is marvellous." The seminar also sought to help African users critically assess their requirements, suggest new products, identify inefficiencies and take over the process. All the training materials were consolidated on a CD and given to all African end users at the close of the session. In addition, all attendees received an ESA TIGER initiative training kit. 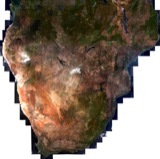 GlobWetland makes up an integral part of the TIGER initiative, which focuses on the use of EO data for improving water resource management in Africa. For much of the 20th Century, wetlands were drained or otherwise degraded. However, growing understanding of the vital importance of wetlands led to the signing of the Ramsar Convention on Wetlands in 1971. Today more than 1 424 wetlands â€“ a total area of 129 million hectares â€“ have been designated as Wetlands of International Importance. The Ramsar Convention's 145 national signatories have committed to maintaining the ecological character and are obliged to report on the state of listed wetlands they have designated.